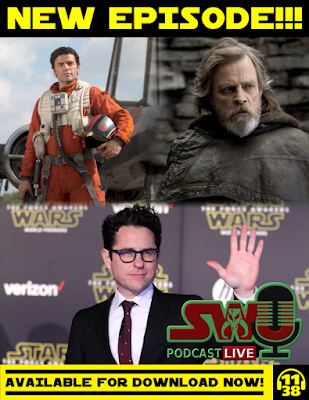 On this episode, Chris, Ben, and Dominic discuss the news that JJ Abrams is back to direct Star Wars Episode IX. They share their thoughts on what to expect from Abrams this time around and why this may be the best possible situation for the sequel trilogy. They also talk about the release date being moved and the announcement that Chris Terrio is co-writing the film. Plus, the latest news about The Last Jedi, some book updates, and Star Wars Rebels' new schedule for its final season. All this and much more! Right click here and select save link as to Download MP3.